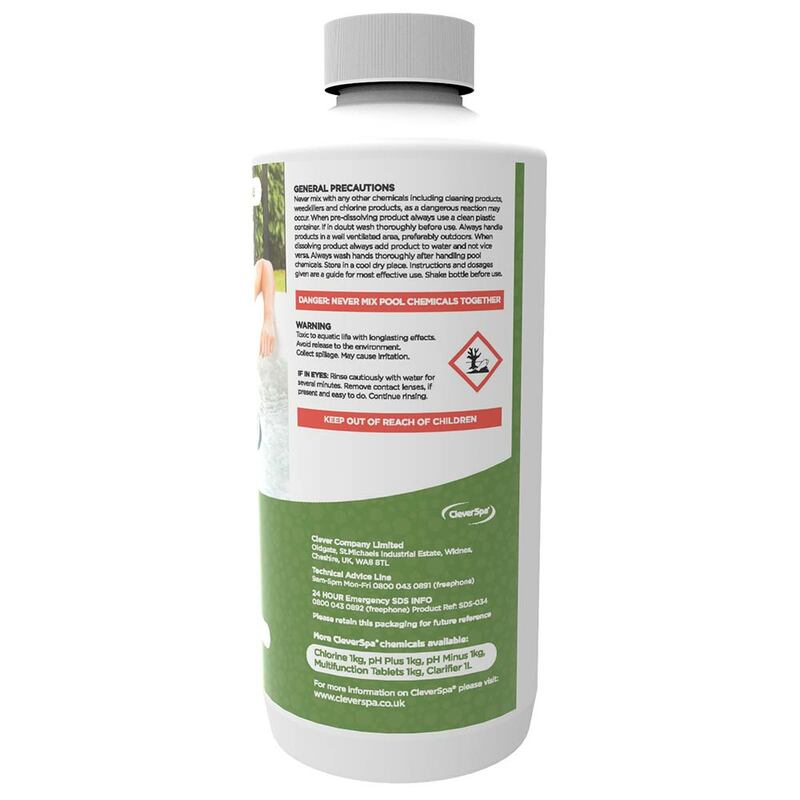 CleverSpa® Algaecide is designed to be used on a regular basis. 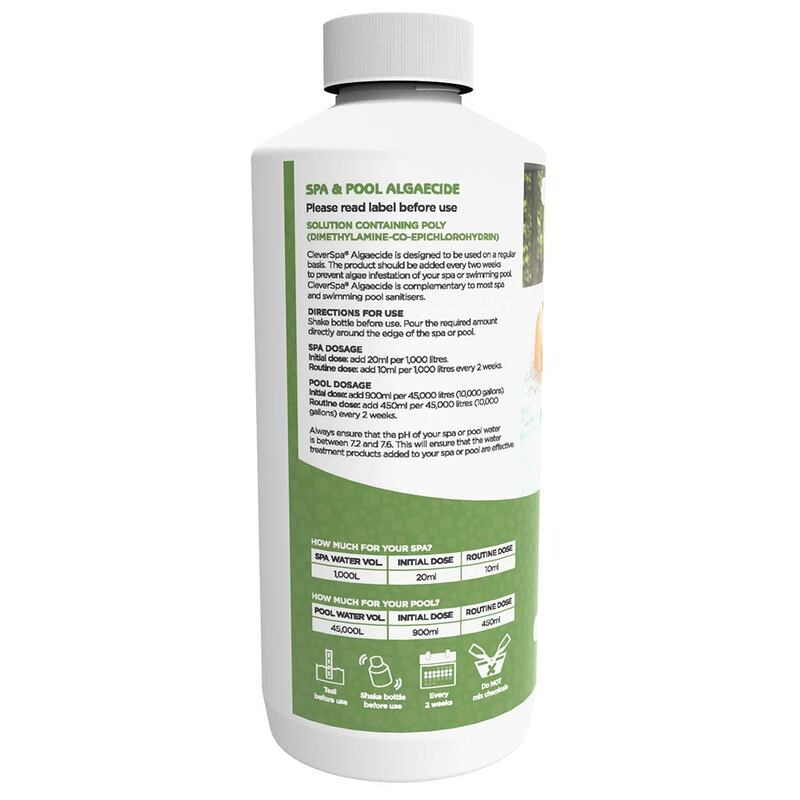 Prevents algae infestation of your spa or swimming pool. 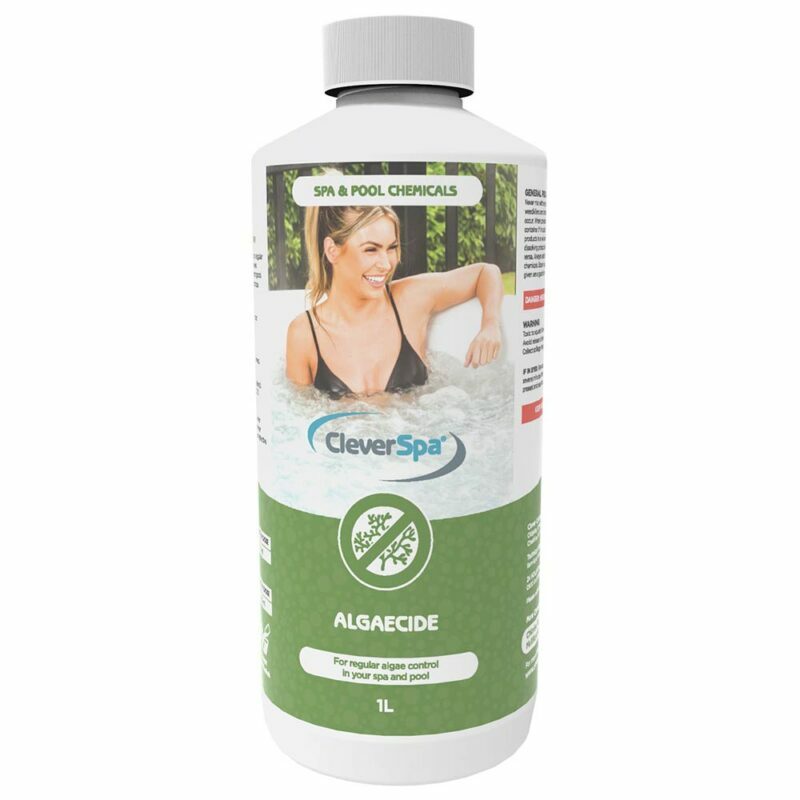 CleverSpa® Algaecide is complementary to most spa and swimming pool sanitises. How often do I need to use CleverSpa® Algaecide? We recommend you use CleverSpa® Algaecide every two weeks. How much CleverSpa® Algaecide do I need to use? Initial Dose: Add 20ml per 1,000 litres. Routine Dose: Add 10ml per 1,000 litres every 2 weeks. Initial Dose: Add 900ml per 45,000 litres. Routine Dose: Add 450ml per 45,000 litres every 2 weeks. Please note: Always ensure that the pH of your spa or pool water is between 7.2 and 7.6. This will ensure that the water treatment products added to your spa or pool are effective. 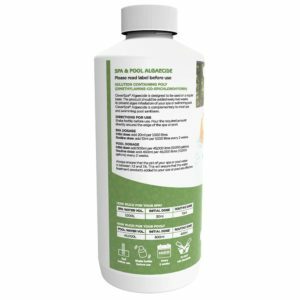 Is algae in a pool harmful to people? Generally, algae is not dangerous to humans. However, when swimming pool water is not taken care of for long periods of time, algae can grow and multiply and become a comfortable home for harmful microbes. It is the bacteria among these microbes that can have a negative health effect on swimmers if exposed to it. Never mix with any other chemicals including cleaning products, weedkillers and chlorine products, as a dangerous reaction may occur. When pre-dissolving product always use a clean plastic container. If in doubt wash thoroughly before use. Always handle products in a well ventilated area, preferably outdoors. When dissolving product always add product to water and not vice versa. Always wash hands thoroughly after handling pool chemicals. Store in a cool dry place. Instructions and dosages given are a guide for most effective use. Shake bottle before use. Toxic to aquatic life with longlasting effects. Avoid release to the environment. Collect spillage. May cause irritation.